While Ed Miliband is bashing big business for using zero hour contracts, 36 of his MPs and a number Labour-run councils up and down the country are employing people on them. 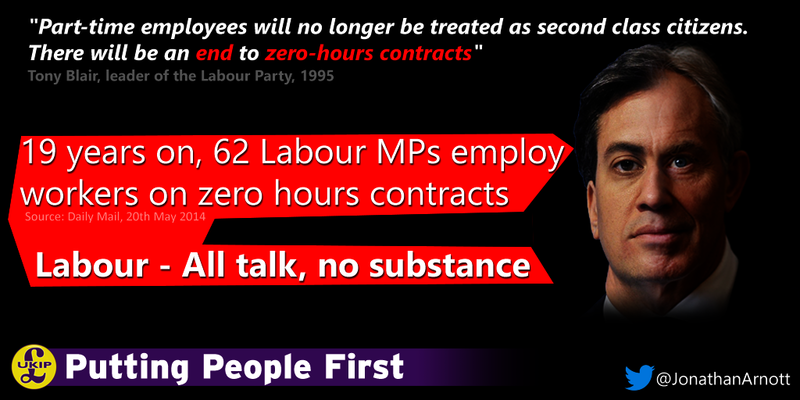 The 36 Labour MPs who use the zero hour contracts include Shadow Chancellor, Ed Balls and a total of 68 Labour MPs have used them in the last 2 years. A number of Labour-run councils also employ staff on zero hour contracts including Derby, Gateshead and Bury councils who between them employed over 6k people on zero hour contracts at the end of 2013.